We heard today the GMC tribunal panel will continue their deliberations in camera (privately) on Saturday and have ‘released all parties’ until 2pm on Sunday. The parties are the GMC legal representation, Valerie Murphy and her barrister, Partridge and, I assume, the public. The 2pm deadline doesn’t mean a determination will be given then as to Murphy’s impairment (or otherwise). It means it won’t be before then. We’ve been warned the hearing may involve further dates yet to be set. This hearing was originally scheduled for two weeks in the middle of August. Obliterating any summer thoughts or plans. It over ran and involved an inhumane and unnecessary cross examination which has, I suspect, left long lasting mental ill health shite. Harm caused in the process of trying to ‘objectively’ establish whether a person given a special key to count as a ‘medical professional’ is actually worthy of being a key holder. There is no apparent consideration for non key holders. On Sunday we listened to a ‘defence’ which involved an absent ‘Murphy, a touting of patient records in a travelling suitcase (which sent alarm bells ringing among even the most resistant information governance ears) and a character witness worthy of a Tom and Jerry cartoon. Among copious tears, I felt an odd fondness remembering Butch. Life seemed so simple then. Connor died in 2013. Murphy denied any wrong doing until the GMC case was well established in 2016. She spent three years denying and deflecting blame. This weekend we heard, via her barrister, about her recent ‘brain child’, her ‘contribution to the profession’; a speedily produced poster published (unusually with her husband) about a yellow card system. I think (hope) we ain’t beyond the realm of reasonable in the justice shed. If Murphy had behaved differently at any point in the last 4.5 years, I hope we’d have found it in ourselves to give her ‘a go’. And if we couldn’t, I hope a close mate, relative or colleague would have nudged us to do so. During the train journey to Manchester in August to attend the tribunal, Rich and I reflected at length on the apology we thought I’d been called as a witness to receive from Murphy. There was no apology. Just a no show. Like she didn’t turn up for her second day of giving evidence at Connor’s inquest, instead appearing by video link and expressing disgruntlement at having to return after a lunch break. George Julian live tweeted the tribunal parts that were public this weekend. She felt it went too fast to catch the comprehensiveness of the GMC case presented. 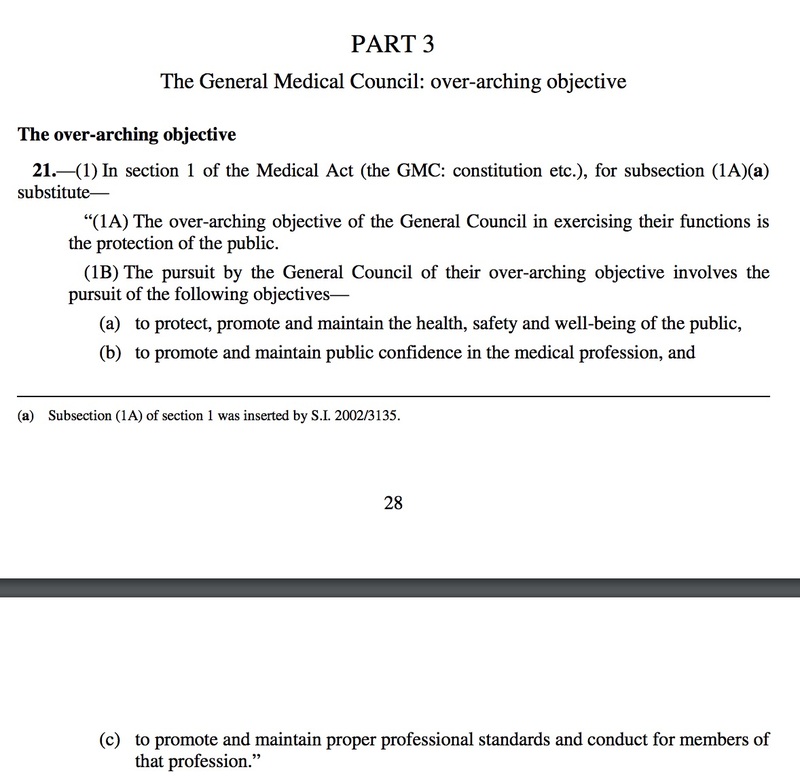 She wasn’t able to convey how the overarching objective of the GMC was failed individually and cumulatively. There are no words to describe, explain, capture what this slow drip drip feed of the ‘processes’ around the preventable death of your beautiful and beyond loved child by a combination of something described as ‘health and social care’ is like to experience. The GMC have kept us consistently kept us informed which is good. Dunno what else to say really. Other than what a pile of shitfuckerywankmarbles. This entry was posted in Campaign stuff, General Medical Council, GMC, High Line, Laughing boy tales, NHS England, NHS Improvement, NMC, nursing and midwifery counsel, Oxfordshire County Council, Southern Health NHS Foundation Trust by sarasiobhan. Bookmark the permalink. From my very limited understanding of the Human Rights Act – I understand approximately, something about all having ‘Rights to Life – and a ‘Family ‘. All who have ‘lost/received back a broken son or daughter from the Statutory Care Services, will have family lives that that are for ever diminished. For those that seek justice, their family lives are battered and wearied into infirmity. A right to live – and have a family life – is taken away and broken….by others. Of course you would have given Murphy every chance. Look at how you reacted when Winnie Betsva had the guts and decency to do the right thing and apologise, honestly, in open court, at the inquest. Murphy has just piled shite on crap; she has proved time and again that she is self-centred and incapable of taking any responsibility for her own actions or for those of her subordinates. She has shown an inability to improve, learn or even reflect; and a propensity to spiteful, childish, pulling-the-wings-off-flies cruelty, put forward at second-hand through her lawyers. That both Jenkins and Partridge have taken this despicable line of attacking you to try to excuse her failings, demonstrates that the original steer must have come each time from Murphy herself in her instructions to them. She’s just so… paltry, somehow. Her attempts at blame-shifting and deflection (computers, nurses, the mean mother narrative, failure to attend hearings, this card scheme) would shame a toddler with their blatancy and feeble bluster. Amazing that anybody with such a maggoty character – all poisonous squishy spinelessness and wriggle – ever got to be a doctor in the first of it. I have to say that most doctors I’ve come across aren’t this maggoty type, particularly those who deal with physical health. Psychiatrists more so (not the good ones, as those exist too) seem to have this carte blanche to blag their way through their careers. But when it affects lives, they have to explain themselves. No wriggling out can be allowed. Came away stunned by her behaviour, hardly engaged she didn’t think she should have move to booked room and that we should go to her, even after explaining it was set up so it could map out a person centred planning approach for Connor.No apology for being late dismissive of you and attitude to some staff totally unprofessional. Little did we know she wasn’t just having a bad day! Sarah, everything you write is so interesting and so informative. We just would not have a clue otherwise. .